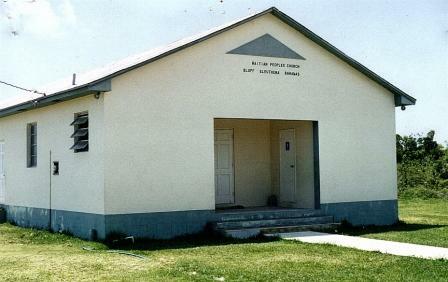 Pictured is The Haitian Peoples Church at Bluff Eleuthera, Bahamas. The church ministry is currently under the direction of John Pierre and is part of Out Island Ministries (OIM). The church was started in 1992 and has continued to grow. John Pierre’s ministry emphasis is evangelizing the Haitian people.